No, this is not a typo. We're now in 1.0.0. Yay! The development process won't change. There are still some things to do (improvements, suggestions, heroes). It is mostly just a numbers change. 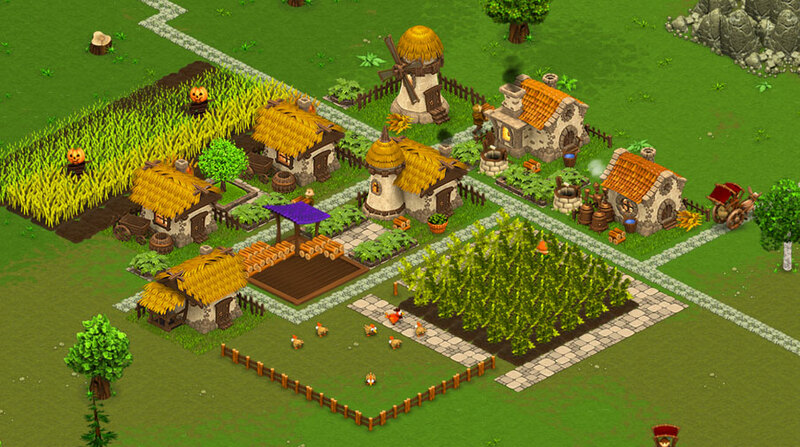 We're also are going to start transitioning from Early Access to Released status on Steam. It was about the time. I've said before that the version numbers basically represent the percentage of completeness and now it is the time to call it 100. It doesn't mean we won't go above 100 percent. This is not a revolutionary, but an evolutionary update. As Sid Meier once said "A game is never completed, but sometimes you just have to release it". I may be imagining this quote, since I couldn't actually find it anywhere, so don't quote me on quoting him. Luckily, we now have the ability to continue completing the game even further, even after it's been completed. Why not a year ago? I've been postponing the official release, because I didn't (and I still don't) know how it is going to affect the perception of the game and sales. 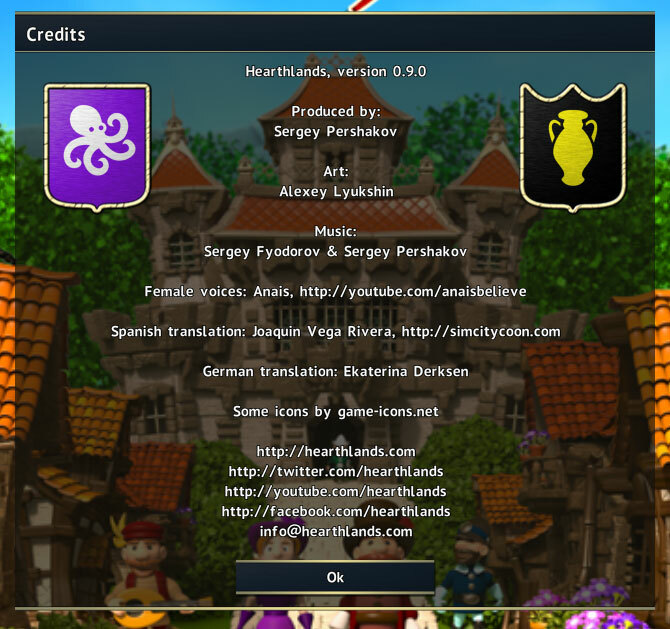 Hopefully, many people who don't buy Early Access games will now take a look at Hearthlands. This is going to be a very scary time for me, since Hearthlands is the main source of my income and the biggest thing I've done so far. I really want it to do well. There were many ups and downs since the development started in May 2014 and I'd like to thank everybody who gave the game a chance, contributed to the project, provided their feedback, and/or helped to spread the word. You guys made this rollercoaster an enjoyable ride. It will always be subjective, but I think the game has quite enough to offer. It is very easy to lose interest to a game when you know everything about it and spent countless hours playing, testing and developing it, but Hearthlands still manages to make me forget what time it is. 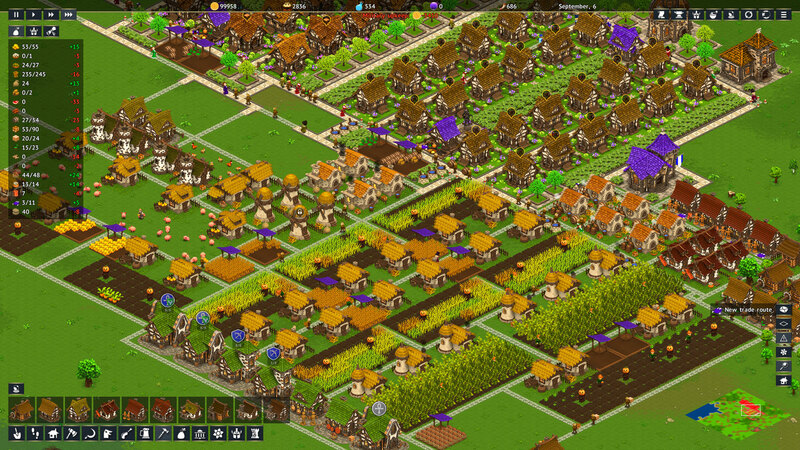 In preparation to this update, I decided to build a 20K population city, which took three days staying up almost until morning. And I was playing with passive rivals and infinite money. There are things to improve (and I'll keep improving things), but I'm happy with the way the game turned out. Also, we ended up doing more than was initially planned, which is good, because if I knew how much there was to do (and still is), it could have scared me away, and Hearthlands would have stayed as another idea I never went for. 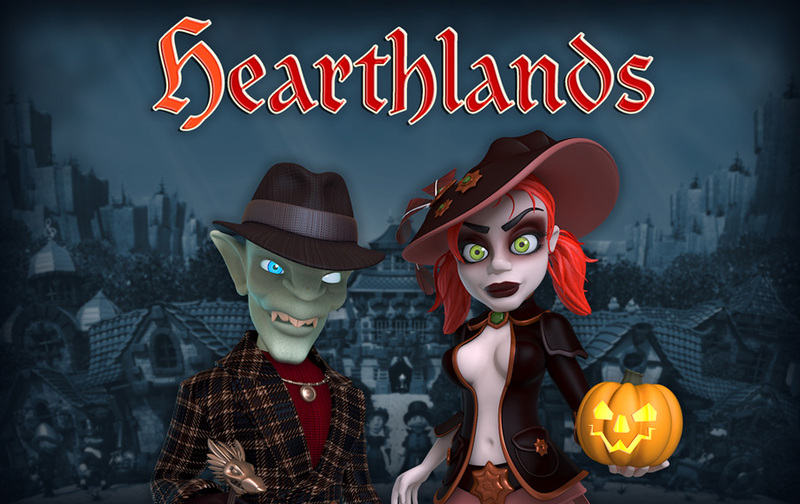 Hearthlands is now available on GOG.com! This is basically a dream come true for me, since the game I've always wanted to play/make is now available to everybody on Steam, Humble and GOG. GOG also requested that the game was officially released and I took this as a sign. Trade is now automated by default. 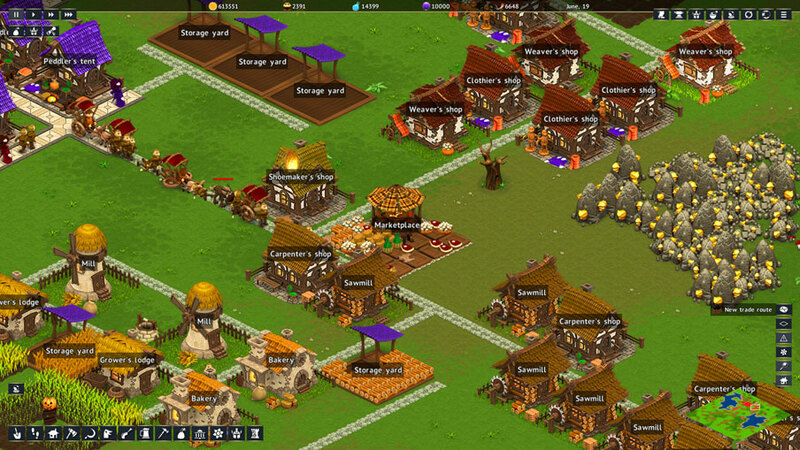 In order to start trading you need to build a marketplace and enable a trade route in the trade menu. Marketplaces will automatically accept items you want to sell and merchant will drop off items you want to buy in any of your marketplaces. To enable manual control you can click the marketplace and uncheck "Auto" checkbox. You can now specify trade limits in the trade menu. "Sell when over" setting means that you will only sell items when you have over the specified amount in stock. "Buy up to" means that you will only buy items until you have the specified amount in stock. 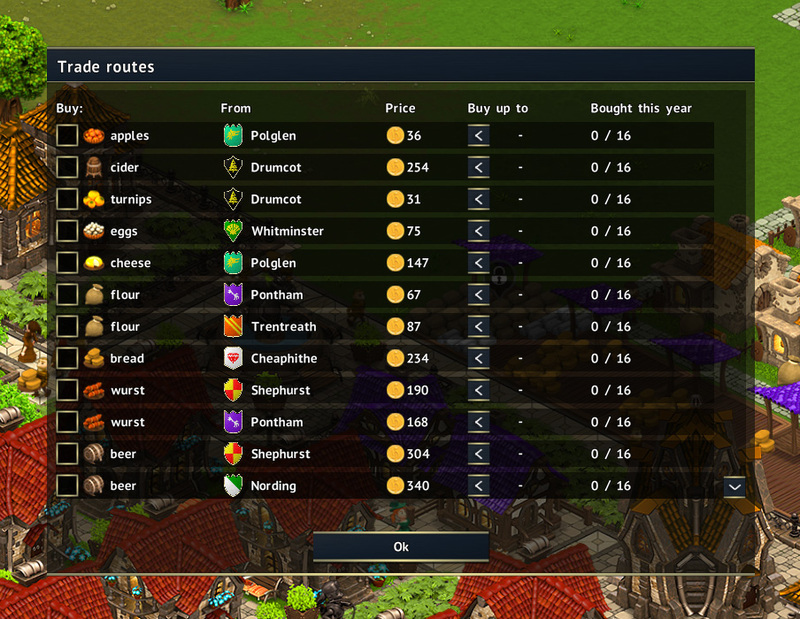 Currently each trade route has a separate limit, which is something to improve later (?). 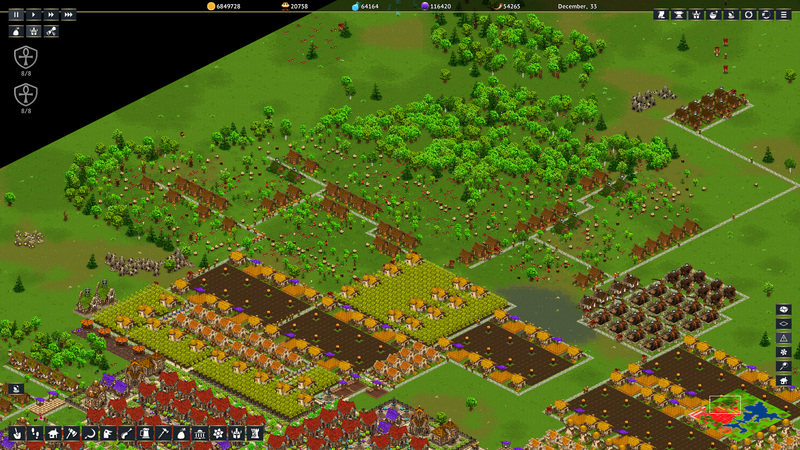 Employment menu now shows the total number of buildings you have when you mouse over the industry. Picking colors for your shield is now easier. You can now restart the game from the game menu (works with games started in 1.0.0 and after). Fancy road under a roadblock is now rendered properly. Clerics have been nerfed a bit. War pig riders now have regeneration. 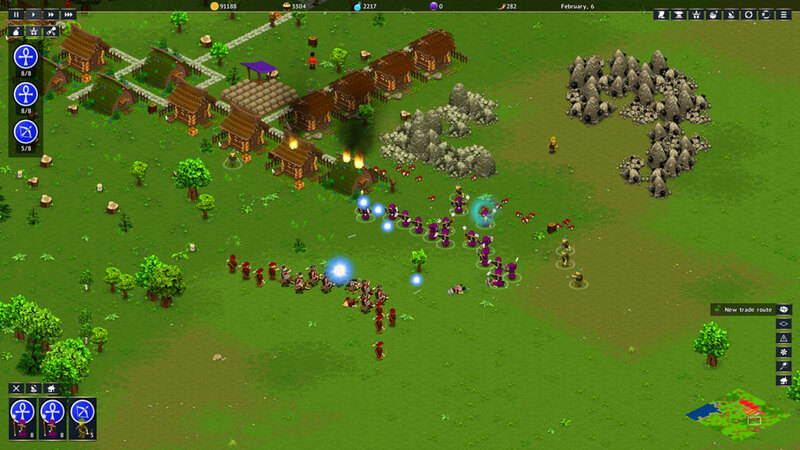 Resource distribution algorithm has been improved once more. Stuttering issues introduced in the last update have been (hopefully) fixed. 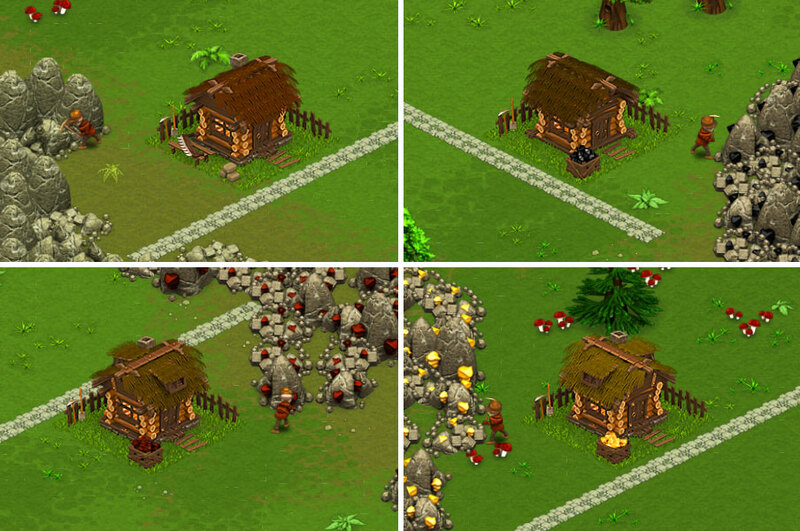 There are ideas have to improve things further in the next update. 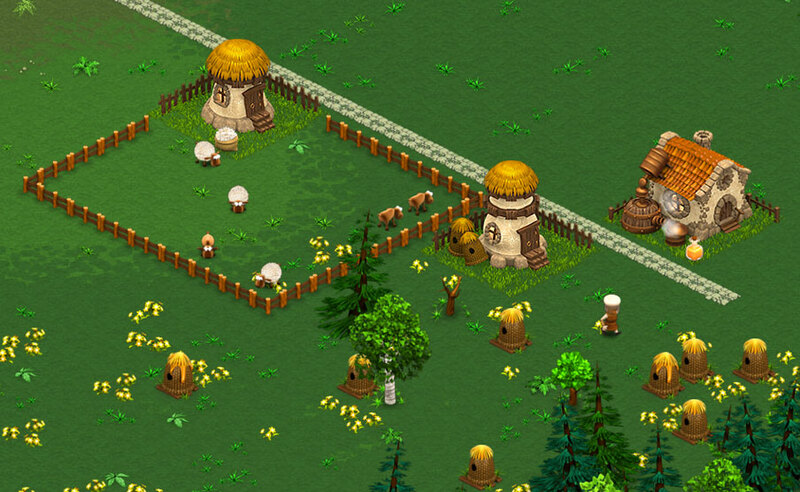 All trees (not just pines) now provide twice as many logs, so you only need half as many woodcutter's lodges. Wood consumption was indeed ridiculous; it is fixed now. A new song has been added! I would like to thank Seth Cruse for this beautiful contribution. It is almost as good as what we wrote (it is better). Also there could have been bugs in sound engine, which are now fixed. Savegames from earlier versions are compatible with 1.0.0. As you can see, there are several districts: pillow/clothes/eggs district, medicine district, two furniture districts, bread district, boots and wurst district, beer district and the main district. 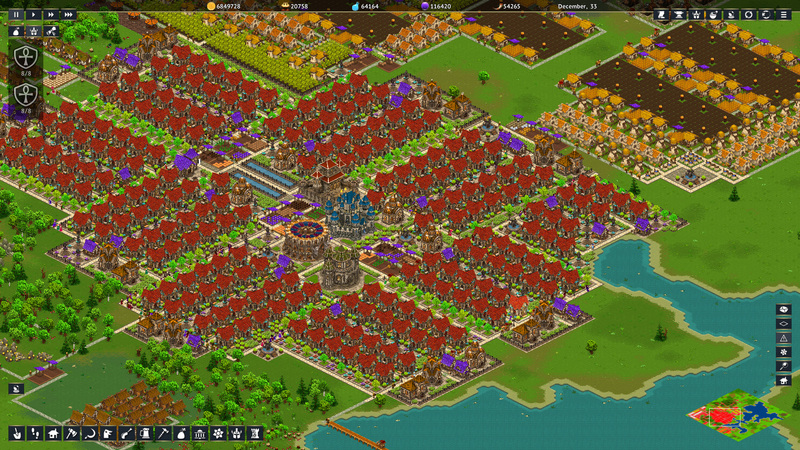 I decided to go with a district system to optimize the resource-flow. The idea is: let's say you have furniture production district. It has woodcutter's lodges (half as many! ), sawmills and carpenter's shops. It inputs nothing and outputs furniture. 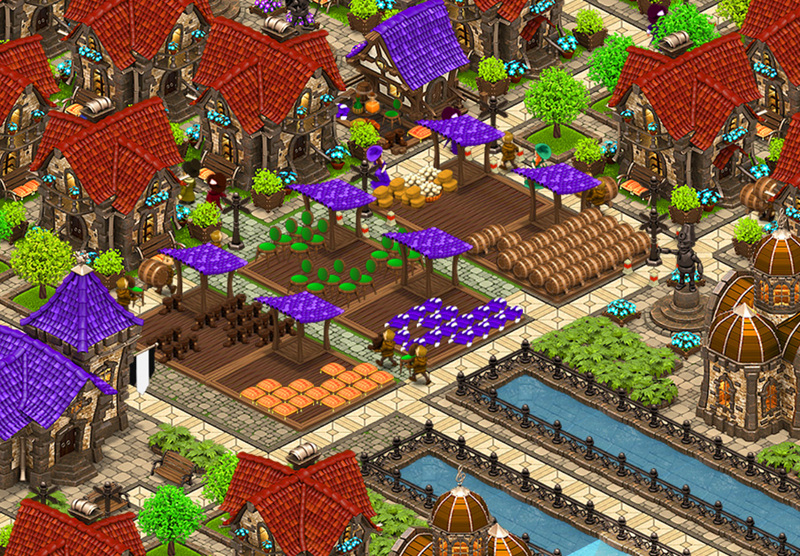 The district is connected to the main city only though a storage yard, that accepts only furniture. The storage yard is used as a gateway to prevent peddlers from going into the district to get some furniture. 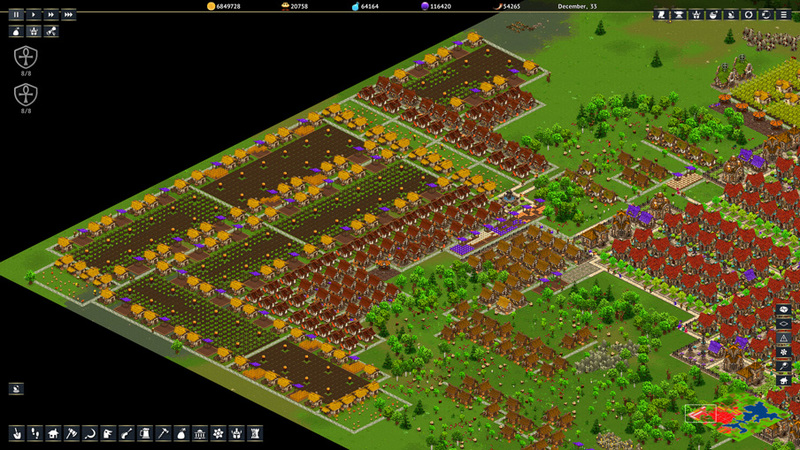 Instead, there is a storage yard (several of them, just in case) in the middle of the city and it "gets" the furniture. There's almost always some furniture in there, so the peddlers don't have to travel too far to get some. If peddler's tent had direct access to the carpenter's shops, it would send a guy every time a new load of furniture is produced, and the guy would have to travel all that distance to pick up just one load of furniture. Instead, peddlers go to a nearby storage yard, where they can pick up four loads at once. This, I believe, is an efficient way to micromanage the resource flow in big cities. 1. This is an improvements update, it's not the last one, but it marks the end of the Early Access stage. 2. The game is now available on GOG.com! 4. Look how big my city is. Get the game on Steam, Humble of GOG. 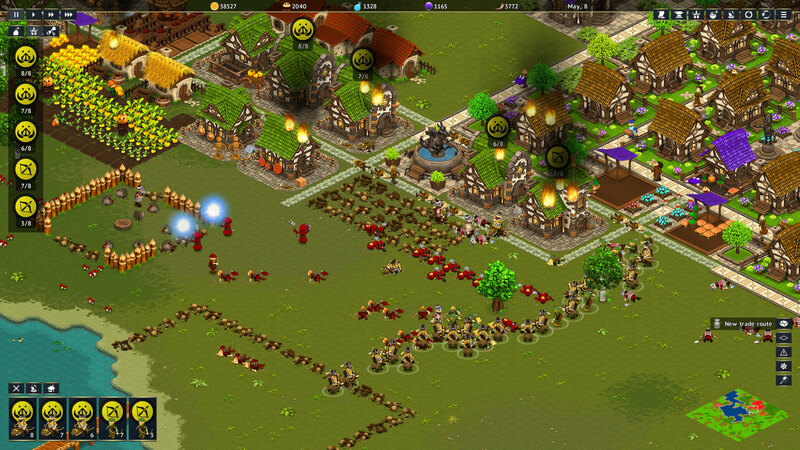 - Horsemen barracks are no longer invisible. - Spanish translation updated to the latest version (thanks, Joaquin!). - Forgot to say in the previous update: since fletcher's workshop became 4x4 instead of 3x3 it disappears when you load a game from 0.8.7 or earlier. Make sure to rebuild it. - Saved games are compatible with previous versions. A big, big change, which I've been waiting a long time for - we've got new music! The main theme was re-recorded and expanded and there are two more peaceful themes and two combat themes. One of the combat themes is only played when you fight undead and it is even a bit scary. I managed to persuade a good friend of mine to spend lots of time with me digging up our old songs and coming up with new ones, rewriting and recording them properly. There are several more songs in the works, so I hope we'll be able to add more music to the game in the next updates. Military buildings were redrawn and now look even better. 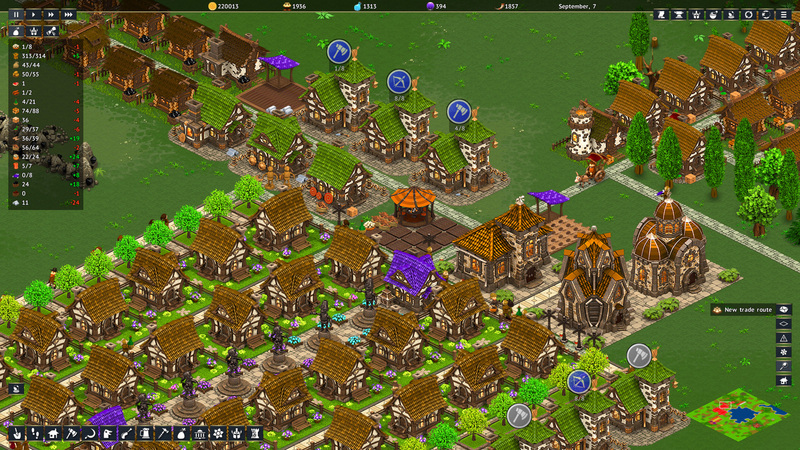 Several new buildings were added. 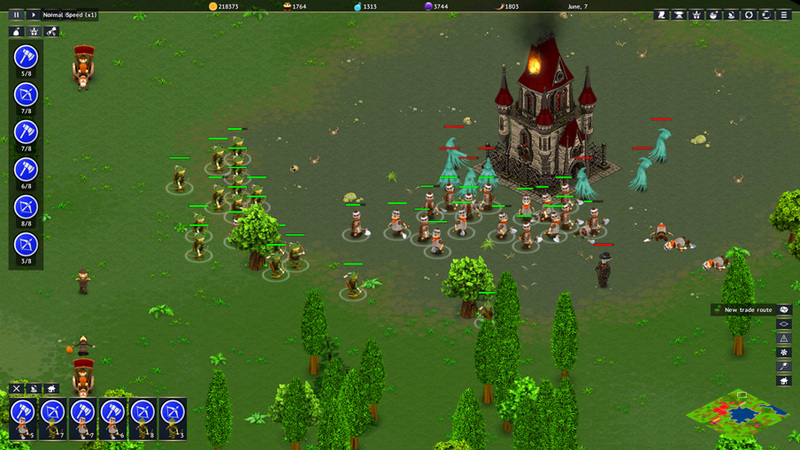 From left to right: barracks, berserker barracks, war pig rider barracks, cleric barracks, horsemen barracks, armorer's shop, fletcher's shop, weaponsmith's shop, stables and war pig ranch. Southerners have horsemen, which are now unique to southerners but otherwise unchanged. 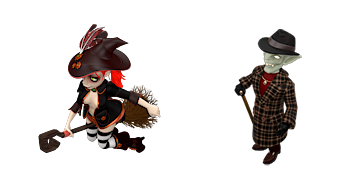 Northerners have berserkers, which lack any armor, but are fast, can throw axes and have a bonus against monsters. Berserker requires two axes and 4 loads of mead. Westerners have clerics, which can heal friendly units, launch magic missiles with splash damage and do 50% more damage to undead. Cleric requires 2 loads of clothes and 2 loads of beer. Easterners have war pig riders, which are well protected mounted archers. War pig rider requires a chainmail, a bow and a war pig (yep, that's a new resource). 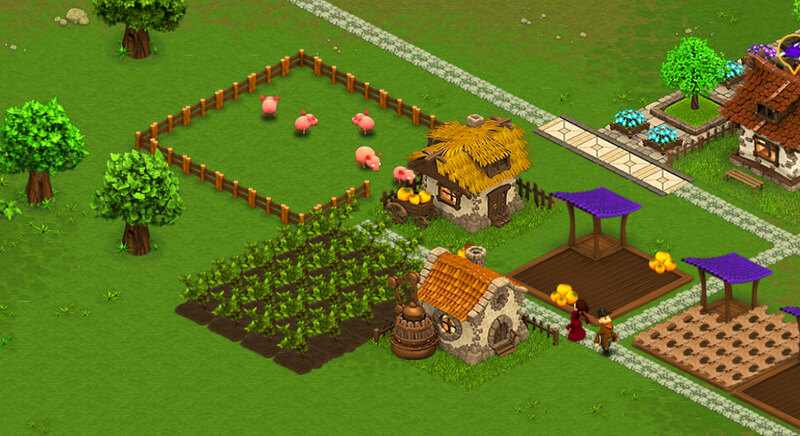 New building: war pig ranch. Produces 4 war pigs a year and requires 6 loads of turnips per pig. - Fixed possible crash when loading game saved in 0.8.6 or earlier. - Fixed a number of typos. - Healing spell now correctly uses percentages. 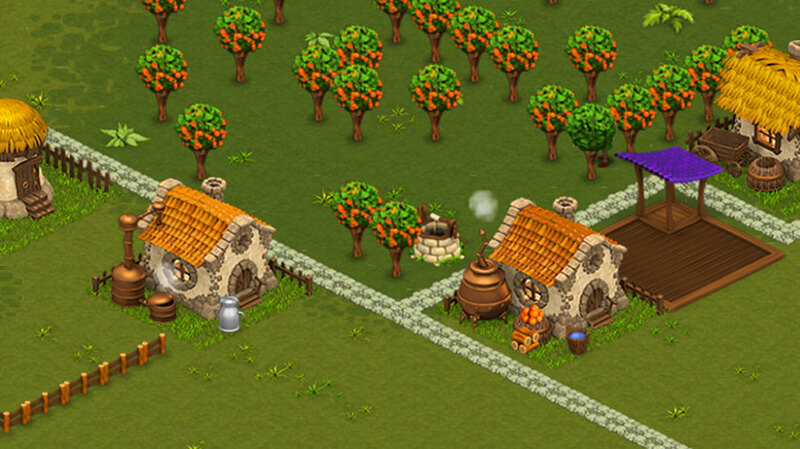 - Houses now have smaller stockpile which makes them react quicker to a change in resources availability. - Destroying a dwelling will no longer make its inhabitants disappear. - You can cast a second copy of a spell without clicking its button again. 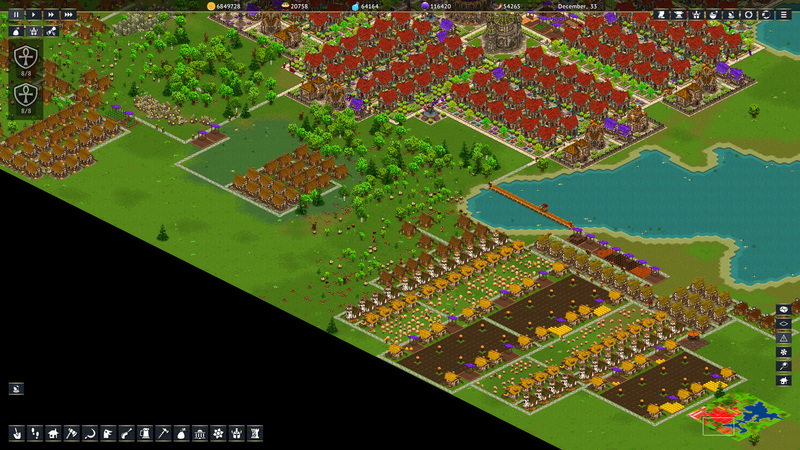 - Added a popup window when mega construction finishes. - Rewrote sounds/music engine, which became much more reasonable and also now uses compressed music. No more limit on the amount of sounds. 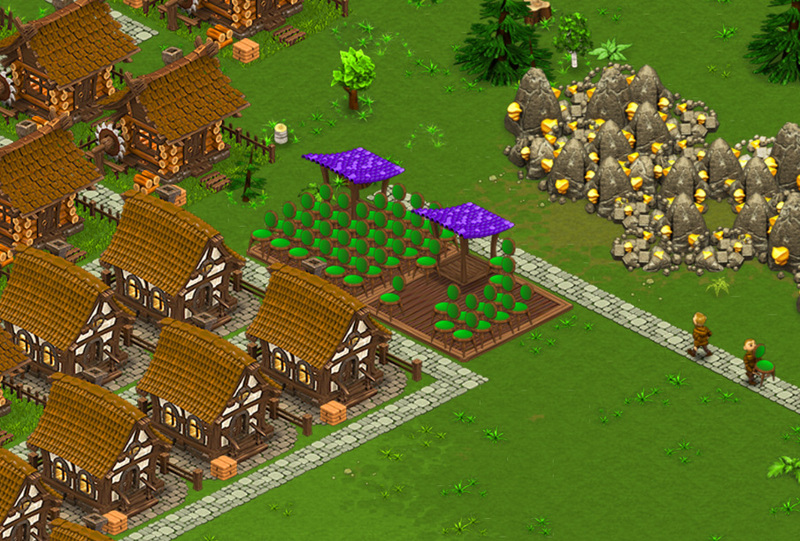 - Gardens have a proper appeal effect now. 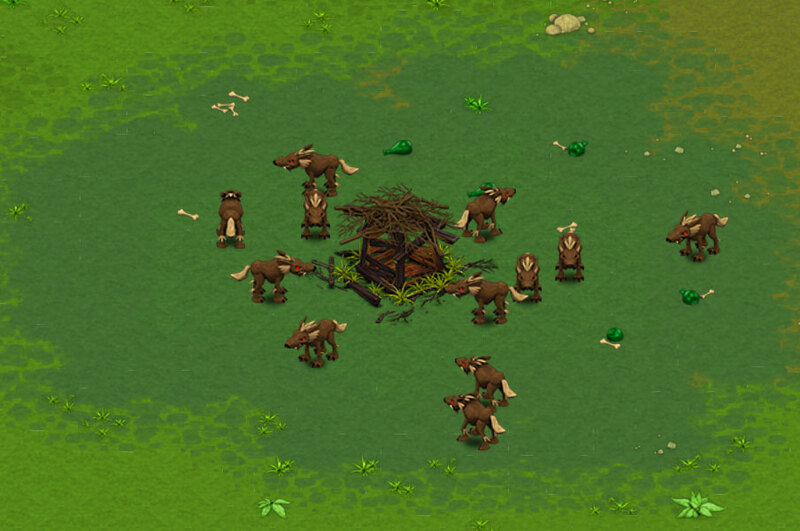 - One load of logs is now required to build a stockade. 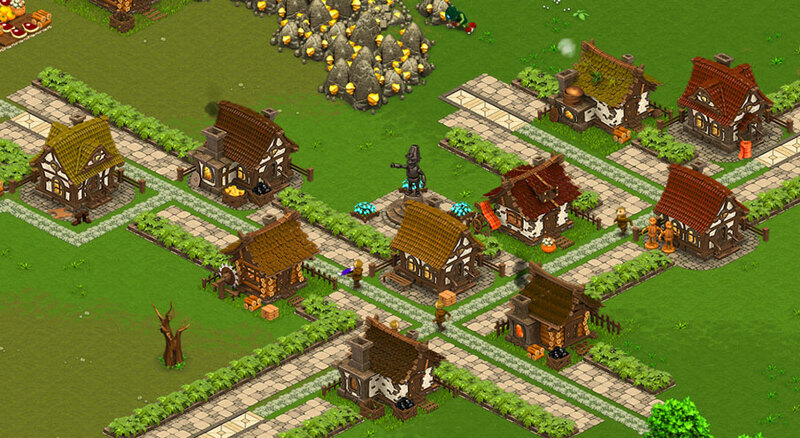 - Stone is now required for horsemen barracks and other special units. - Fixed a bug with enemies getting stuck on a canal bridge. 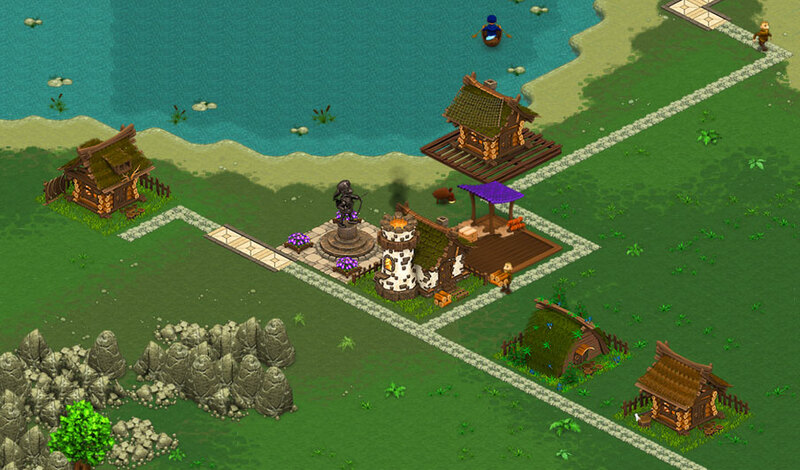 - Some decorations became walkable, some gained HP value. No more defensive lines made of flowers (sorry, hippies).